Before they were separated by the failed revolution of 1905, Abram and Sophie exchanged these portraits made in Odessa in 1905. When they were reunited in America, they had them framed side by side. Setting No One Remembers Alone in the bustling Slifka Center makes for a very different experience from seeing the material in the hushed, white-walled chambers of a traditional museum. Fanning out around the central postcard circles, the exhibit swerves around corners and up stairs, covering every available surface like colorful old-fashioned handbills, evoking in its own manner the immigrants’ experience of making their way through the crowded, hectic streets of Odessa and New York. At any point, it is easy to slip into the narrative and lose yourself in both the interweaving personal details and their deep historical context. You can spend hours tracing the particular paths of family members, or stroll through and dip in and out of the story. Abram Spiwak was 18 and Sophia Schochetman 15 when they met and fell in love in the summer of 1905, a season of revolutionary fervor. Theirs was the most unlikely of meetings. He was newly graduated from a Baron de Hirsch agricultural school in Orgeyev, Bessarabia. She was apprenticed to a master tailor in the most cosmopolitan city of the Russian Empire, Odessa. Their lives were shaped by the two most notorious pogroms of the early 20th century: Abram’s by the Easter pogrom in Kishinev, 1903, and Sophie’s by the Odessa pogrom following the failed revolution of October 1905, which left 20,000 people standing in line for bread when the street fighting finally ended. She and her family were among them. Having lost everything, Sophie’s family had no choice but to emigrate. In January 1906 the Schochetmans left for America via Hamburg, their steamship tickets paid for by relatives in Philadelphia who’d emigrated a few years earlier. Abram, lovesick and stranded in a city where he knew no one, now threatened with conscription into the Czar’s army, returned home to Orgeyev, where his six sisters gathered enough rubles to help him bribe border guards as he snuck across the border into Bukovina in the dead of night. 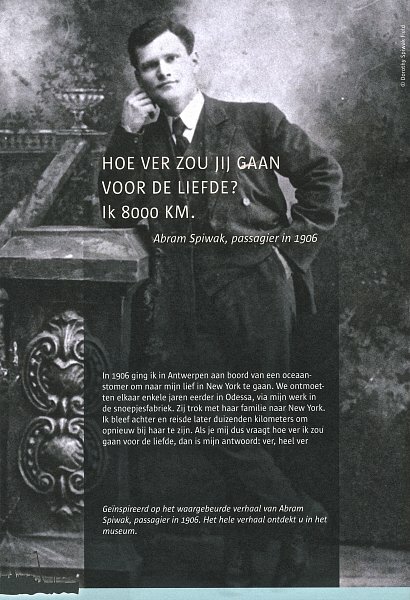 It would take him a year and a half, and a journey of thousands of miles, as he traveled from Czernowitz to Antwerp to Quebec and then to New York City, helped by Jewish relief committees along the way, but Abram would eventually find Sophie again and set to wooing her once more. When Abram and Sophie married in the spring of 1909, they became the founders of a huge American family. In their lifetime, Abram became a prosperous grower of flowers on a farm in Queens and Sophie a renowned dressmaker. To help the family survive the Great Depression Sophie gave up her dress shop on the Lower East Side and opened a flower shop on their farm in Queens. She was soon famous for the artistry of her floral displays. Together Abram and Sophie brought dozens of members of their families out of Eastern Europe before the Golden Door closed in 1924. In 1929, Abram made his only trip back to what was, by then, Romania. Postcards from family and friends he hadn’t seen in 23 years and would never see again had disappeared for 80 years until I found them scattered through family photo albums and locked away in drawers, closets, and suitcases. Over six years, 200 volunteers from 16 countries helped translate and interpret the postcards, photographs, travel documents, and materials from newly opened Soviet archives that now make it possible for me to reconstruct the story of how Abram and Sophie founded a new family in America. Though it begins in Czarist Russia, theirs is an American story. It could be my grandparents’ story—it could be yours. It is the universal story of the emigrant. On September 28, 2013, the Red Star Line Museum opened its doors in the historic warehouses of the Red Star Line shipping company in Antwerp, Flanders. The museum tells the story of over two million European men, women and children who travelled from Belgium to America on the Red Star Line’s ocean liners in search of a new life. An estimated one in four was of Jewish descent. In 1906, Abram Spiwak was one of them. The story of Abram’s early life, his search for Sophie, and the sisters they brought over on Red Star Line ships are featured as part of the Red Star Line Museum’s permanent exhibit. What makes the Red Star Line unique in the history of shipping European migrants to America? The majority of its passengers were Eastern Europeans, a great many of them Jews. Antwerp became the most important transit city in Europe. Using the story of the Red Star Line as a narrative vessel, this three-part documentary explains why European emigrants left their homes behind for an uncertain future. It details their trips to Antwerp, their travel across the ocean, and their adjustments to their new lives in America. Theirs are intimate yet epic journeys in which past and present merge in the forging of new identities. Abram and Sophie’s story is featured in each of the three segments of the documentary. For an extended trailer, please visit the OffWorld Productions: Red Star Line Documentary Film page. Slifka Center is among the premiere campus Jewish centers in the world, with the capacity to offer programs of breadth, depth and centrality to campus life, Jewish and non-Jewish, that allows us to ‘compete’ successfully for our students’ time and attention. We are developing future Jewish leaders, and men and women who will lead in the private sector and public spheres Jewish-ly. 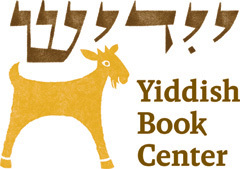 The Yiddish Book Center is a non-profit organization working to tell the whole Jewish story by rescuing, translating and disseminating Yiddish books and presenting innovative educational programs that broaden understanding of modern Jewish identity. Submit your email and receive updates about upcoming works and exhibits. © 2019 Patricia Klindienst. All rights reserved. Design by MWong Studios.